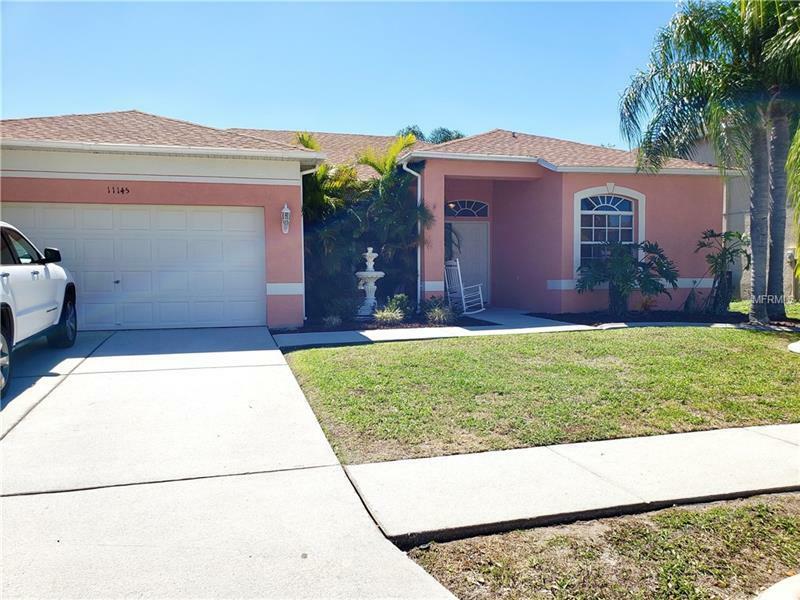 POOL HOME in the Summerfield Community - Just in time for Summer! Great Home with a Great Location! *Sparkling Pool* *Move In Ready* *Hardwood Floors* *Roof 2018* *Fresh Paint* *Fenced Backyard* *No CDD* *Amazing Amenities* Welcome to Sailbrooke Drive, Your New Home Sweet Home! You will Love the Bright and Open Layout - Formal Living Room, Formal Dining Room, Large Family Room Open to the Kitchen, which features Granite Countertops, Breakfast Bar, Wood Cabinets, Stainless Appliances and Eating Nook. Split Bedroom floor plan offers everyone their own privacy. Master Suite with a Large Bedroom with slider for pool access, 2 Master Closets and Master Bath with Dual Sinks, Glass Shower and a Relaxing Garden Tub. There are 2 more generously-sized Secondary Bedrooms and a Full Secondary Bath. Step outside to your own Private Pool and Screened Pool Deck - your new favorite spot to relax or entertain friends and family! The Summerfield community is sought after for its Endless Amenities which include 2 Pools, Weight Room, Fitness & Cardio Center, Indoor Gym with Basketball Courts, Tennis Courts, Recreation Fields, Playground, Food Truck Rallies, Summerfield Elementary School, and Summerfield Crossings Golf Club. ALL with a Great Location - easy access to US-301, I-75, US-41 and Close to Schools, Shopping, Dining, Entertainment, New YMCA, St. Joseph's Hospital and More! Start Planning Your Pool Home Summer Fun Today!